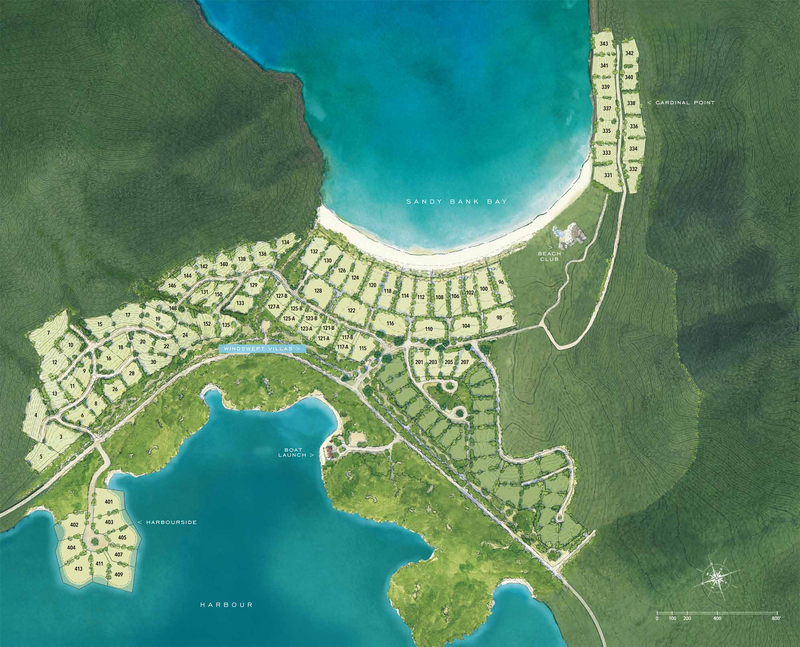 AUA are working on a number of properties within Christophe Harbour in St Kitts with Developer New Bermuda. The concept of the Butterfly House is to combine traditional tropical building design around a unique, organic landscape setting which fits into the natural characteristics of the site. 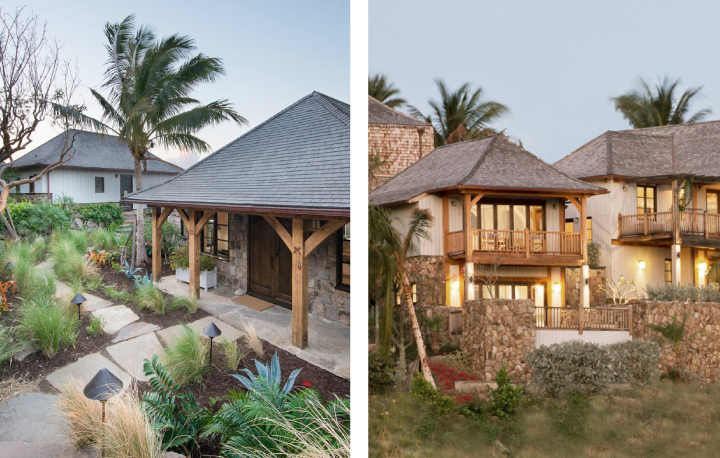 The design and geometry of the Butterfly House has emerged from the location and site topography, elevated landscape wings with stone faced gabion retaining walls provide a strong visual expression, whilst the use of local stone in a traditional fashion, combined with the upper wooden frame structure, pays homage to the cultural and physical heritage of St. Kitts. 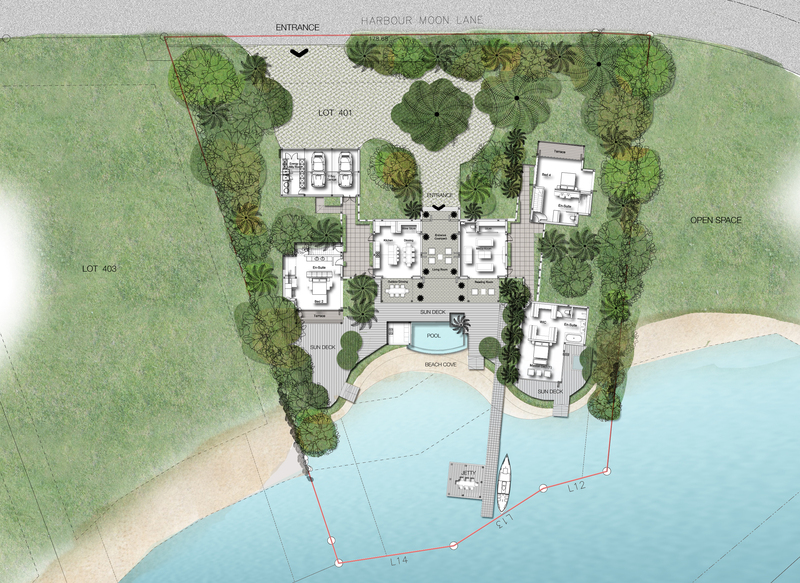 Set along a stretch of private beach, the 5,000 sqft house orientates itself along a re-defined coast line creating a series of buildings which are interconnected together through formal gardens with shaded links. 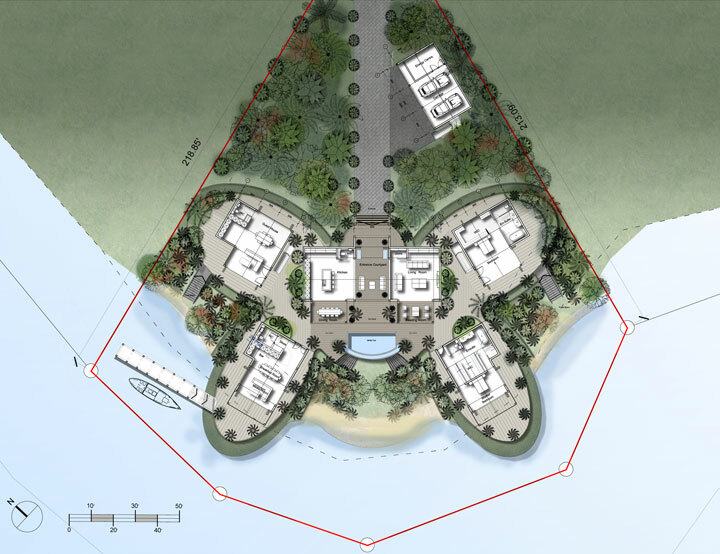 The design of the cove allows the waterfront to bleed into the site, blur the lines between indoor and outdoor spaces, and create a resort house that takes advantage of the climate, views and private beach setting. Set along a dramatic horseshoe bay with an expansive crescent shaped whitesand beach, Villa San Christobal offers expansive views of Christophe Harbour and St Anthony’s Peak. Made from almost entirely natural materials and designed with five privately quartered buildings, the 5,400 sq feet, 3 bedroom villa with separate guesthouse, is defined by a series of interconnecting living spaces which gives the homeowner complete flexibility in the use of the villa. 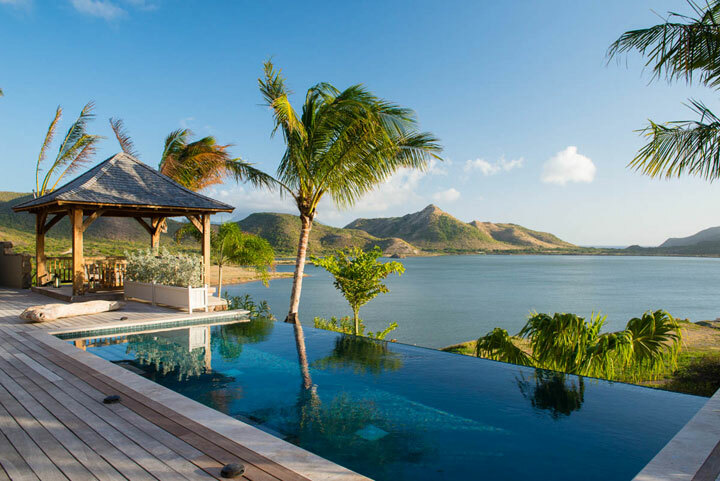 The Palm House is located on an exclusive cliffside estate set along the caribbean coast of the renowned South East Peninsula of St Kitts. The site is carved into the cliffside of the cove and benefits from panoramic sunsets over of the Caribbean Sea and views of the private yachts to and from the marina. The house is based on the plan of a tropical plant with the great house arranged around a series of petals which give individual picture frame views to each of the rooms. 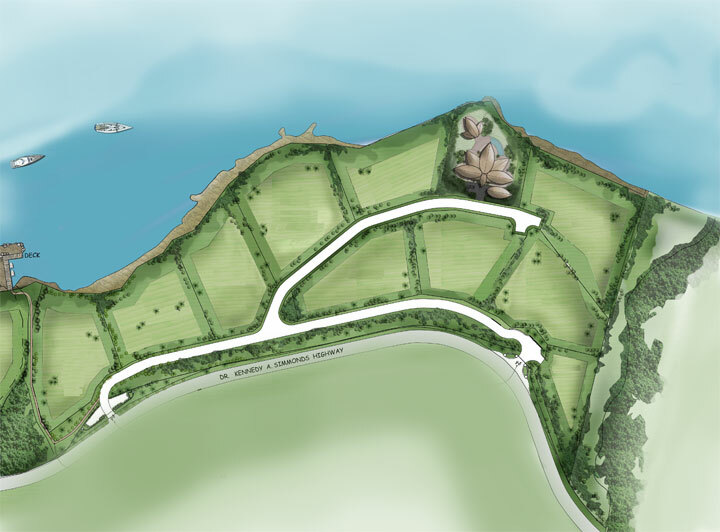 The organic nature of the design allows the building to sensitively nestle in the landscape with the barrel vaulted roofs of the petals based on the design of the inverted hull of boats. 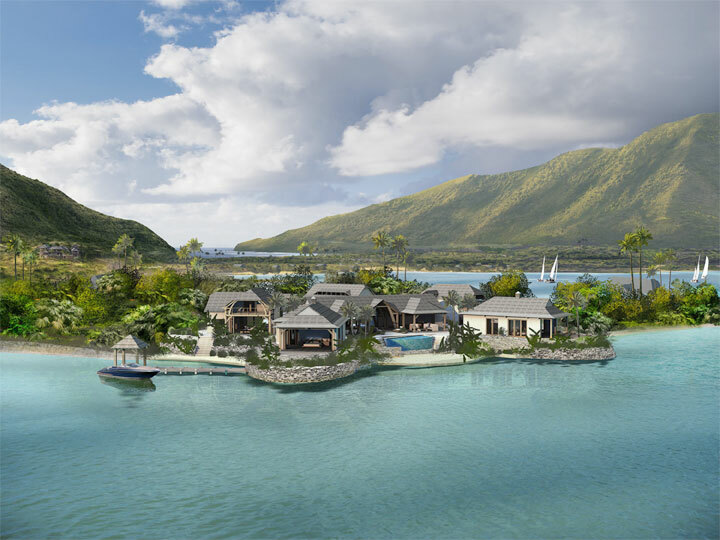 The Rockpool Villa is located in a premier waterfront site in Christophe Harbour, set along the perimeter of the planned mega-yacht harbour. 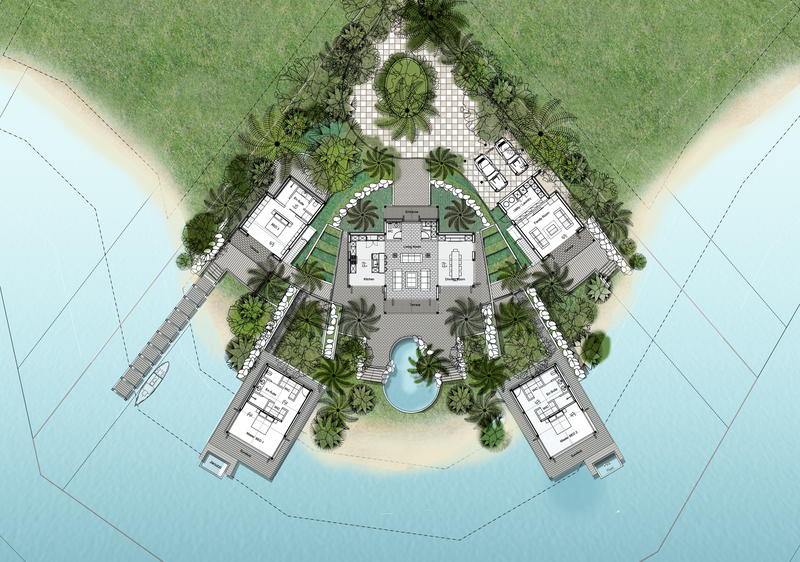 The concept of the house is to create individual pod’s which are linked together through private gardens, shaded pergolas and beaches, creating a resort feel to the house.The master bedrooms are constructed on jetty’s which project over the waterfront, together with inbuilt Jacuzzi’s on the decks, reinforce the exclusive retreat feel of this house.